3/8" solid plastic heads. Rust resistant steel pins. 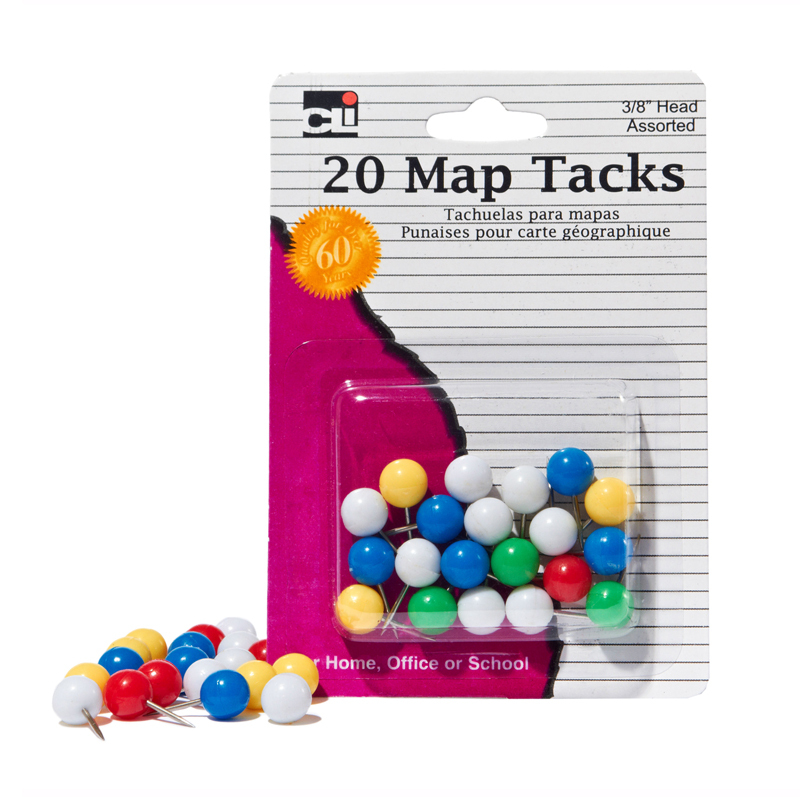 Ideal for pin pointing map locations. Assorted Colors.